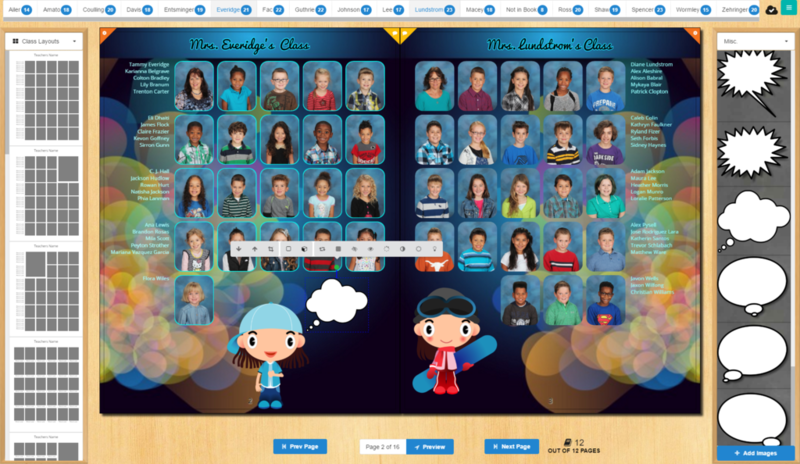 ... the ultimate School Yearbook creation web app! Start building your PLIC Books now. Design the book quickly using simple Drag-n-Drop and Intelligent tools to master workflow. After you Preview/Proof your book, Finalize and Submit your creation to be printed with a click of a button! 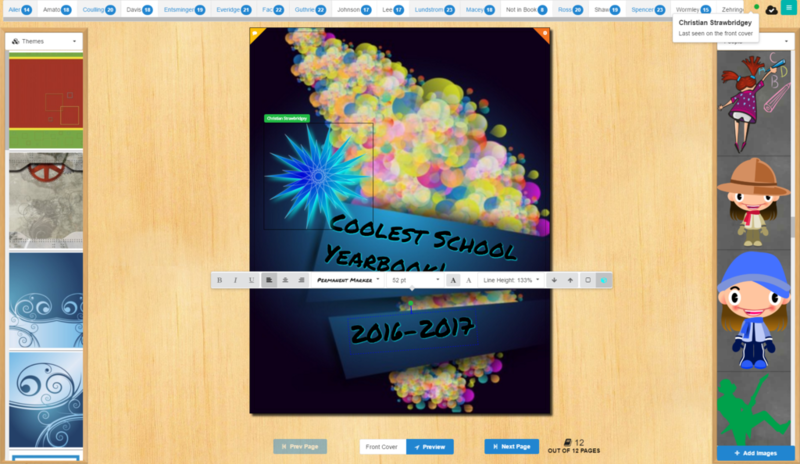 Creating a Yearbook is now super-easy! You can create a full underclass yearbook in as little as 20 minutes. Utilizing a scaling user experience, you can build a simple, themed book in minutes. Or scale things up and use the feature-rich application to tweak every detail for your new masterpiece! Collect Candids from Teachers, Volunteers and Parents. PLIC Books has a couple of options to collect Candids from "out in the wild". A simple web URL can be distributed via email, flyers, etc. The Candid Collaborator simply Tags, Chooses and Uploads their photos using a computer or their smartphone/tablet. If you're looking for the Ultimate in Photo collaboration, you can use the integrated CapturLife phone application! Create events, invite others, gather tons of content which is then seamlessly delivered into PLIC Books for your approval before it can be added to the book. We have so many cool and useful features, we don't have enough room for them all. PLIC Books was designed for the Web from the ground up, not converted from a Desktop app. Better performance and increased security and reliability regardless of OS. Several PLIC Book users can be working on the same page at the same time! You can even see who is active and what they are working on in real-time! Pick a Class, drag a Layout. It's that easy. Adding Clipart and other Images on the page will Auto-Magically adjust the Class photos so you never have text overlap or missing subjects. 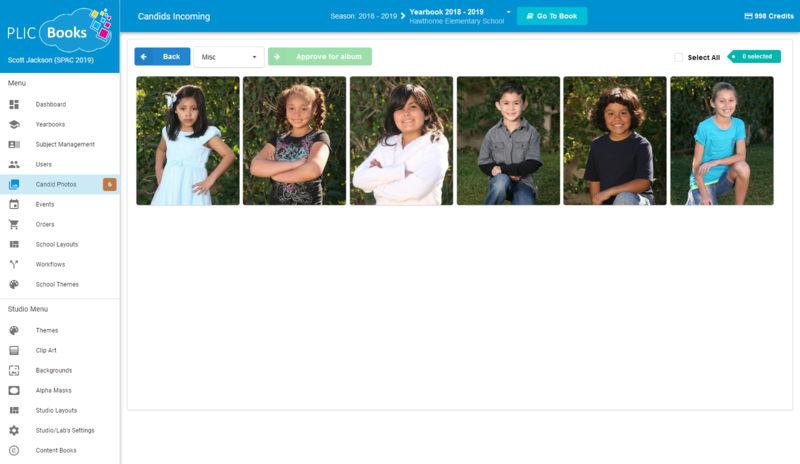 Using Drag-n-Drop with Subject Cards; correct, copy, move or rename your Subjects and their Class batches without drama. PLIC Books offers two ways to submit Candids: Use our basic URL distribution for emails, flyers, etc. Or distribute the CaptureLife phone app for the Ultimate in Candid delivery! Double-click on any page to add your Text. Choose your font, size it, throw in some cool effects like DropShadow or Stroke and whammo! You can choose from a bunch of Themes that create the same look & feel throughout each page. Or create your own! Drag your Theme onto the page and watch the magic happen. PLIC Books has thousands of hi-res Clipart images! From Cats & Dogs to full Scenic Decorations. You can also Upload and Organize from your own library. 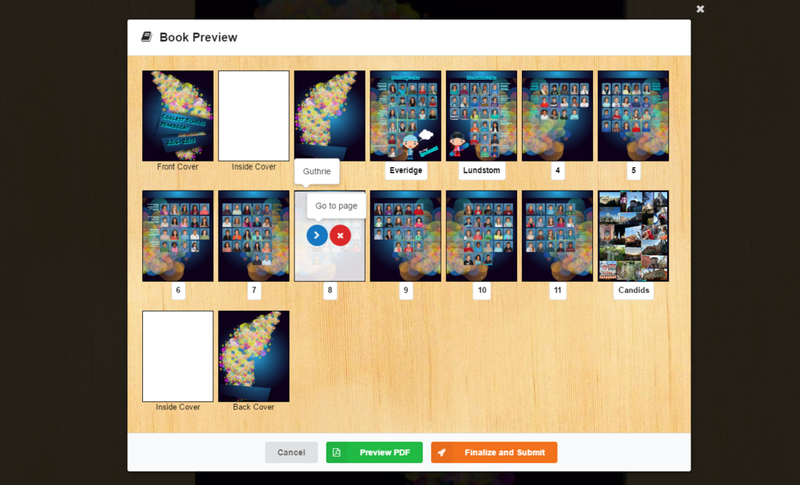 You can Preview your Book in progress to Examine, Move, Rename pages, etc. You can even download a PDF for your own proofing before Final Submission. Sell your Books online through our brandable store front. Distribute a short url to your schools and let the money flow in! 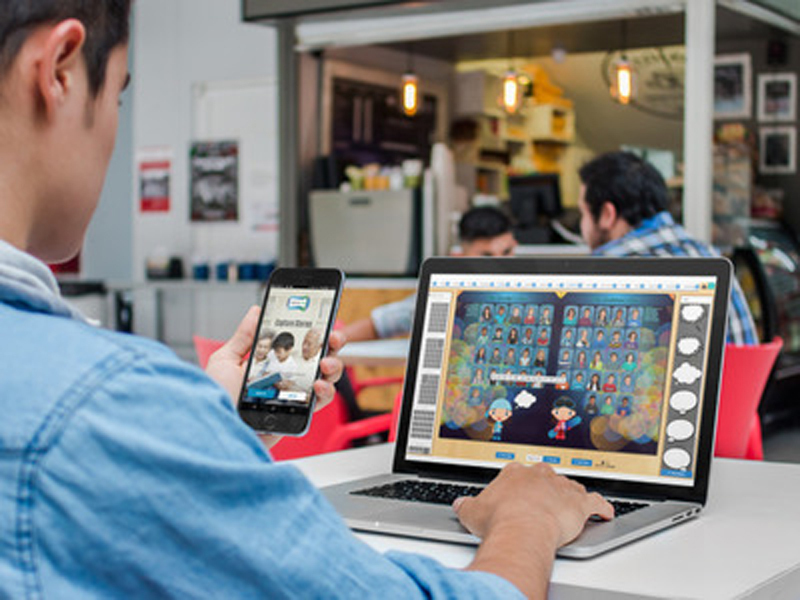 Work on your PLIC Books project from anywhere. Yes! PLIC Books uses 264-bit (HTTPS) Encryption for all transactions between your computer and our Web Application. All of our "Servers" are behind a Secure Firewall which protects against Distributed Denial of Service (DDoS) attacks and other web threats. Is there anything that I have to install for PLIC Books to work? Does PLIC Books do backups? PLIC Books performs a "Snapshot" every day of the entire PLC Books website and it's data. This includes every page, every book... everything! From there, PLIC Books has redundant Backups of those Backups. These Backups are then backed up in different locations. If I don't use a "Credit" for a Book, do I lose it? Nope. When you purchase a "Credit" for a Book, it's yours. For example: If you bought 50 PLIC Books "Credits" and only used 49 for the year, that 1 "Credit" can be used for the next year. Make sense? PLIC Books is another product in the PhotoLynx family that is essential for studios doing yearbooks. From ease to functionality PLIC Books is the best in the market. Thanks for filling the need with a great product! PLIC Books Customer Service is impeccable! I appreciated the patience of the customer service representatives each time I called with a question. I found PLIC Books intuitive and logical to use. 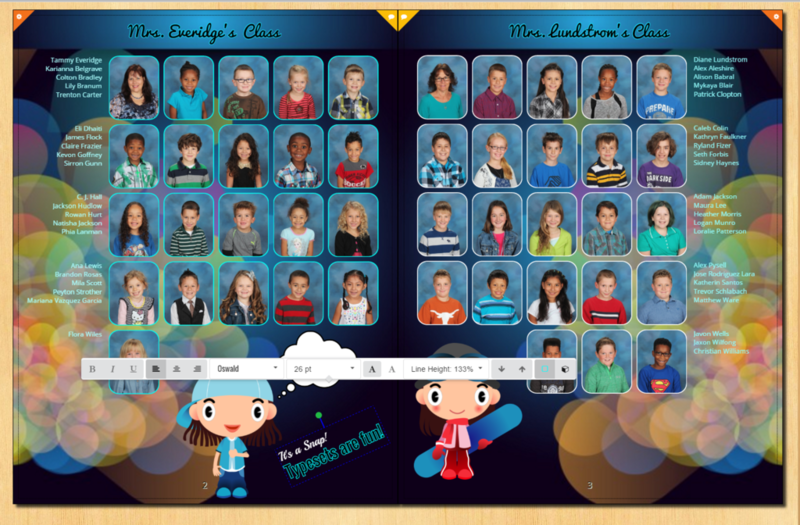 The backgrounds, graphics and pre-designed templates made creating the yearbook a breeze. Definitely one of the best yearbook applications I have had the pleasure of using. I am happy to say we are nearing the end of our Yearbook season and PLIC Books has been a plus plus. All our schools have wholeheartedly agreed that it is a much better program then the one we used before. 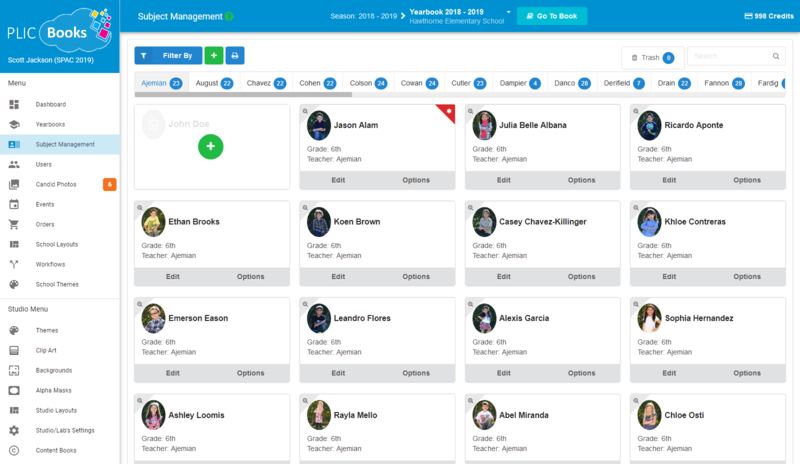 The cloud based system has eliminated any issues with logging on, moving subjects, and managing subjects is intuitive and simple. Proofing a book's classroom pages in real time has helped all schools. I wholeheartedly recommend PLIC Books. Want to sign up right now? © 2018 JumpSeat. All Rights Reserved.